The Terracotta Warriors are one of the most popular draw cards to Xi'an. Dating back to the third century BCE, the ancient tomb of Qin Shi Huang, the first Emperor of China, was uncovered in 1974 by local farmers. Spanning 57 square kilometres, it's quite possibly the greatest archaeological find of the 20th century. Only one tenth of the tomb has been restored with three accessible pits containing 8000 soldiers, 130 chariots with 520 horses and 150 cavalry horses — in various stages of reconstruction. Saving you a trip to China's ancient capital, Te Papa has announced that a collection of the ancient treasures are coming to Te Papa this summer. Terracotta Warriors: Guardians of Immortality will open 15 December, 2018 and run until 22 April, 2019. The $2.6 million landmark exhibition will feature eight full-sized warriors, two full-sized horses from the famous terracotta army and two half-size replica bronze chariots, each drawn by four horses. The 2300-year-old warriors will include an armoured general, an unarmoured general, two armoured military officers, a kneeling archer, a standing archer, an unarmoured infantryman and a civil official. 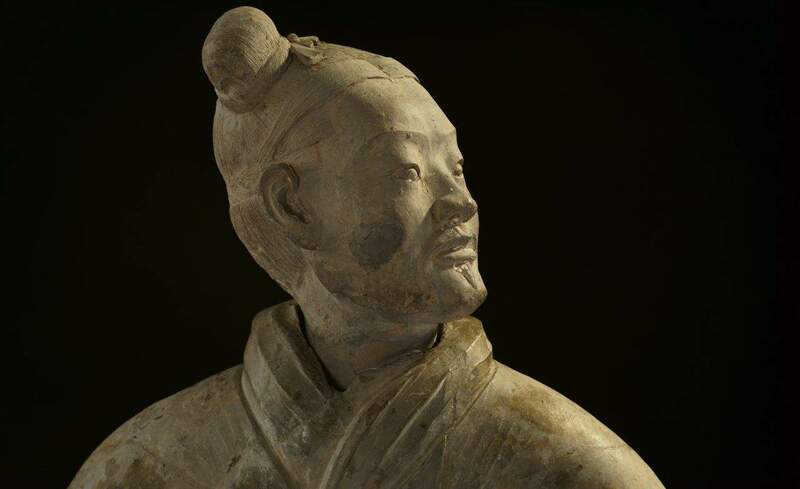 The terracotta figures will be given context in the exhibition by being presented alongside more than 160 works of ancient Chinese art crafted from gold, jade and bronze, which date from the Western Zhou through to the Han dynasties (1046 BC – 220AD). Found at Toi Art on Level 4, the exhibition will be supported by a program of free cultural events, including Chinese New Year Celebrations in collaboration with Wellington City Council. Tickets to Terracotta Warriors: Guardians of Immortality exhibition will be on sale from 1 October.